I don’t know about you, but I have fallen for terrariums, and I have fallen hard! I mean, who doesn’t want to build a beautiful mini indoor garden in every empty glass container they have? 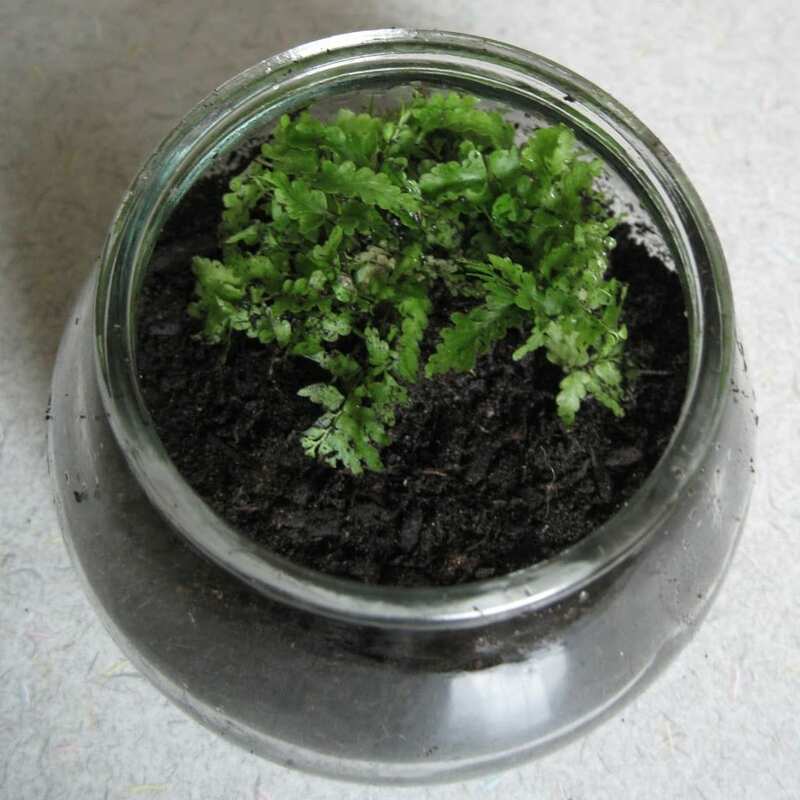 Low maintenance and perfect for anyone who lives in a tiny flat in the city, this diy is ideal for those of you who don’t naturally have a ‘green thumb’ but would love to bring some greenery into your home… or office… or studio… in fact, it is so small and perfect, you can take it anywhere! Itching to make your own? 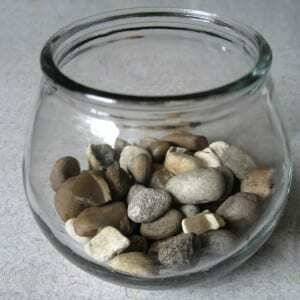 First up you need to pick a glass container for your terrarium. I have a tubby little one which is perfect for me, but you may want to play about with a bottomed bell jar or a tall tumbler or even some scientific number. Whatever you choose to make your tiny planet in, make sure you give it a good wash with some soap and water first. 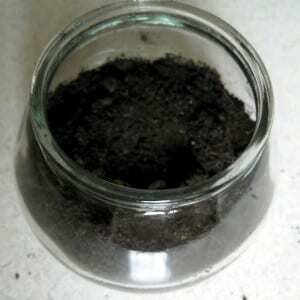 Once dried, add in your pebbles and activated charcoal. These are great for drainage in your little garden as it is going to get hot and wet in there! Add in your earth and compress it down so it is packed tightly. If you are adding in any plants, dig little holes where you plan to put them. As it is going to get hot in your little green house, you want plants that can cope with humidity. 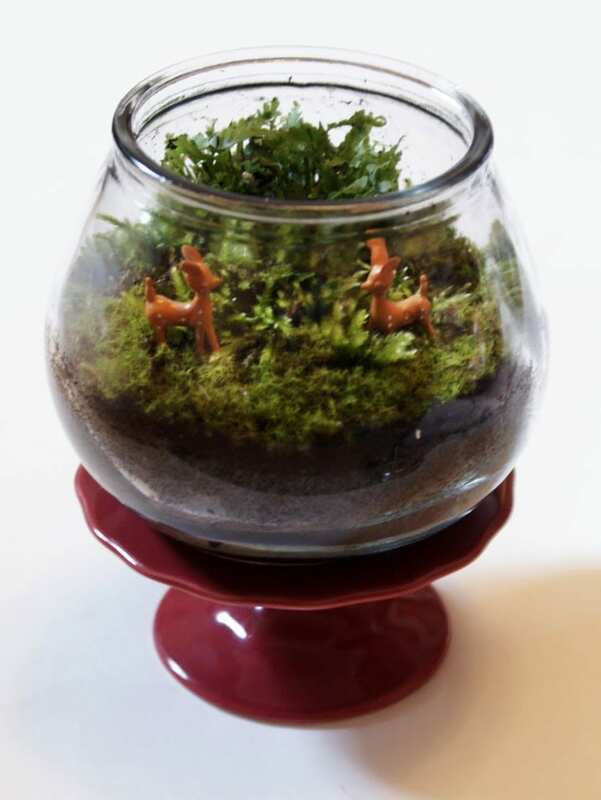 Think about plants that would grow well in a forrest or you could use air plants or cactus etc. 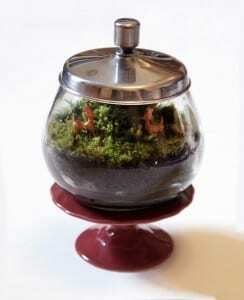 Moss is ideal for terrariums as they like to soak up lots of water. There is lots of different kinds of moss too, so go wild when picking it from the garden – the more the merrier! 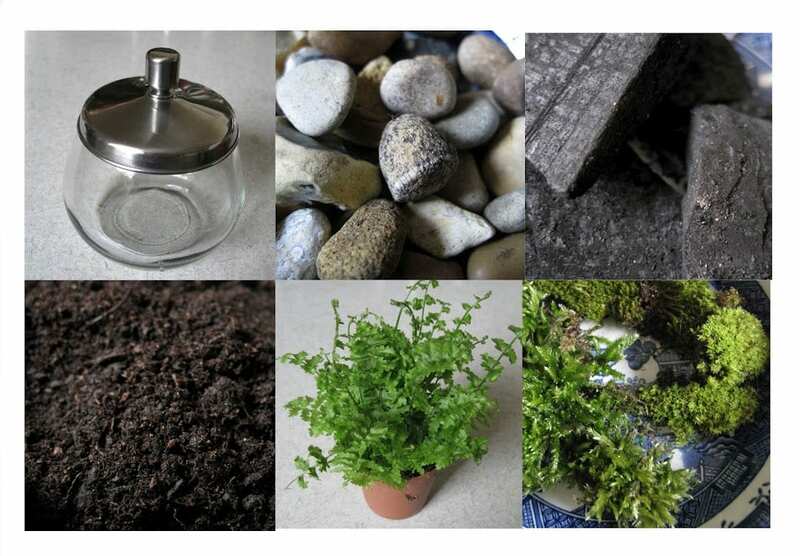 If you are worried about your drainage system, you can always add in a cheeky layer of moss between the pebbles and the soil too. 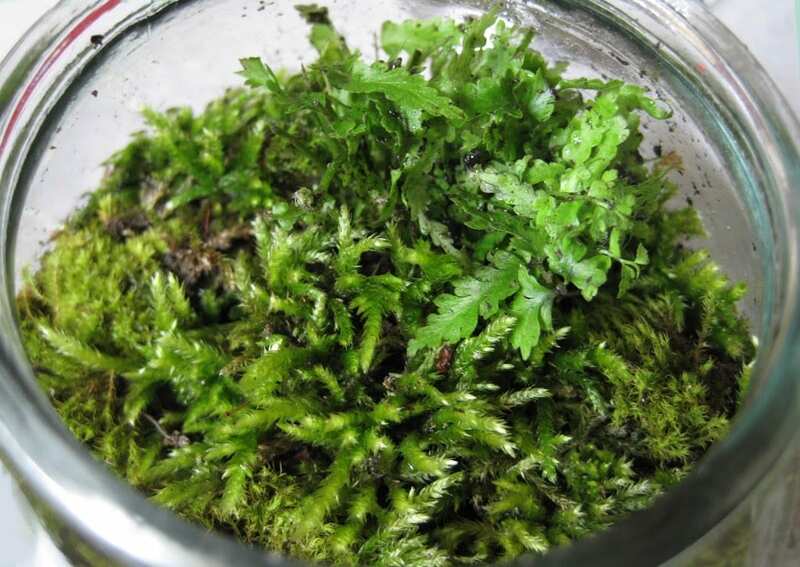 I think moss is beautiful so I am happy to have it everywhere! We hope you have lots of fun with our latest tutorial! If you have any suggestions for friends or what kind of jar to try this out in, we’d love to hear it! I’m sure it would be fine with some heat and water 🙂 you’ll never know till you try! TOTALLY making this! Pinned, tweeted. Yay! What a great post! Ahhhhh! So cute! I love this… the tutorial is super simple to follow too! Lovely! 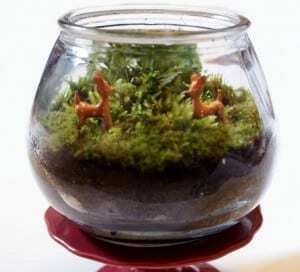 Terrariums look so cool especially when they are made with taste. Your DIY is great! How cute and fun! I saw some geeky terrarium wedding centerpieces recently, but I thought they would be too difficult. This doesn’t seem hard at all though and it looks great! Aaaaaah! What a brilliant idea Ariella! I would love to have these as centre pieces 😀 What’s fantastic is that you can make them well in advance and you can use any kind of jars. Imagine lots of different sweetie jars everywhere, and you could put little wedding people in them 😀 adorable! I hope you give it a go! What a great tutorial! This one is so cute too. I think I can actually do this and keep it alive! Wow! Cracking terrariums Natalie 😀 Thank you so much for sharing your links, It makes us super happy to see how everyone gets on, we love it! They are massively addictive, we’re glad to hear we are not alone in the new obsession :B Good work, go team!